Situated west of Greater London and Reading and east of Bristol and Bath, Swindon is a town filled with opportunity. Attracting newcomers from across the UK, Swindon’s reputation is fast growing as a fantastic place to move to. 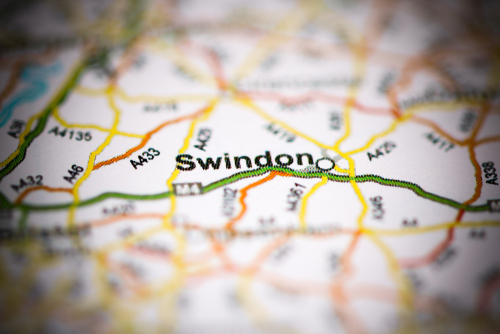 Named as one of the top 20 best places to buy a property in Britain and ranking within the top 30 best places to live in the United Kingdom, it’s not surprising that you’re considering living in Swindon. Swindon began life as a small Saxon village established around a quarry. It’s wasn’t until 1840, when the famous Isambard Kingdom Brunel brought the Great Western Railway to the town, that the town exploded to house the railway workers. The town experienced another population increase at the end of the Second World War, when an influx of new houses were constructed across to town to solve the growing house crisis in London caused by the Blitz. The town’s quiet courtyards and alleyways boast a varied selection of traditional shops and pubs with the mix of modern chain stores. When looking for houses in Swindon, you’ll find that different areas will offer you a range of different houses. Swindon’s Old Town offers some widely sought after Victorian and Edwardian terraces. It’s a bustling area which attracts a diversity of professionals and young families. Going a bit further afield, the area around the Coate Water Country Park is another hugely popular area. It’s populated with a variety of detached houses, which were built in the thirties, with large gardens perfect for those with children. More recently, Swindon has also welcomed several new build sites, which offers reasonably priced modern housing. Though if you’re not one for modernity, the region around Broome Manor boasts a mix of Georgian regency and rural style farmhouses delivering a rustic, peaceful country atmosphere. Our property for sale in Swindon will provide you with easy access to the many local schools in the area. You’ll have over 50 primary schools and 11 secondary schools to choose from, plus Swindon college which offers further education for school leavers aged 16-21. There are also thousands of offices and businesses in Swindon, with a wide choice of job roles in manufacturing, wholesale, administration & finance, business, IT and retail. We have hundreds of houses for sale in Swindon and we’ll be more than happy to help you find the right property for both you and your children. Swindon offers plenty of things to do on a day out, especially for those with children. Coate Water Country Park is a beautiful country park is a fantastic community space and with a children’s playground, summer splash pool, all year café and space to run around it can make for an enjoyable family day out. It also has a nature reserve and a site of specific scientific interest, as the park is bursting with interesting bird and wildlife species and offers both fishing and birdwatching. Swindon town centre is a great choice if you love shopping. It is fully pedestrianised and offers both an indoor and outdoor shopping experience. The undercover Brunel Centre with over 100 shops and cafes, The Parade with its distinctive and decorative canopies which houses more well-known shops, and the old town area with more established family businesses, and the amazing McCarther Glen outlet centre makes this an exciting time for dedicated shoppers. Swindon is also home to the famous Swindon Town Football Club. The County Ground Stadium is right in the town centre and has hosted international football fixtures and a variety of concerts. For advice and guidance on how to put yourself in the best position for buying a house in Swindon, speak to our expert advisors at Castle Estate Agents in Swindon. We can guide you through the entire process, from finding a property that meets your requirements to making an offer and having it accepted. With years of experience helping people with buying and selling homes across Swindon, we have the knowledge and expertise to make your buying process as smooth as possible. Contact us today on 01793 611677.